Modern Times Group (MTG) digital chief Jette Nygaard-Andersen is to leave the group to pursue new opportunities. Nygaard-Andersen joined MTG in 2003 and has held several managerial positions within the group’s Nordic and international operations and, most recently, with MTG’s digital video content division. She will leave the group at the end of February. MTG has also named Lars Torstensson as EVP and head of communications and investor relations for the group, effective from June 19. David Boyd has been named a s interim head of investor relations from January 29. 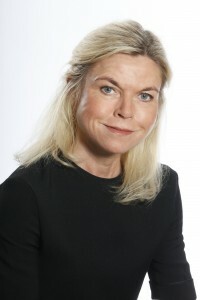 Torstensson is currently chief communications officer at Swedish listed consulting company Sweco and has held communications, investor relations, strategy and business development positions at Gelato and Tele2 Group. He previously worked at Swedbank Robur and Handelsbanken Asset Management. Boyd has most recently been head of investor relations at Northgate Group, Millicom and Inmarsat. Torstensson’s appointment follows the naming of current MTG EVP and head of communications Matthew Hooper as EVP, head of corporate affairs and CEO of NENT Group UK, the UK arm of soon-to-be-split-off broadcasting and streaming arm Nordic Entertainment (NENT). “I am delighted that Lars is joining our team. As we proceed with the split of the company, our priority is to develop and expand MTG’s portfolio of hyper growth global companies in eSports, online gaming and digital video content. Lars’ in-depth knowledge of both finance and communications, combined with his passion for business development, makes him a perfect match for us as we accelerate our development,” said Lindemann.